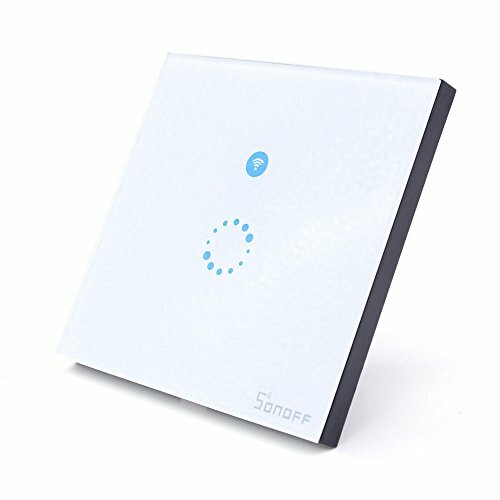 The Sonoff Touch is a one way(1 gang) WiFi wall touch switch. It can be paired with iOS/Android APP eWeLink via WiFi, lets you to remotely turn on/off the led and light from anywhere at any time. Its LED backlight lets you easily find and turn on the switch at night. Support all kinds of lights, perfect for smart home solution! If you have any questions about this product by Cedar_77, contact us by completing and submitting the form below. If you are looking for a specif part number, please include it with your message.